It’s going to take more than a few government plans to solve climate change and create a sustainable future. We will need leadership across the voluntary sector and business community to help shift Canada towards a better future. It’s what we call a “distributed leadership” model – the idea that our social and business leaders need to lead the way through their own commitment and actions. 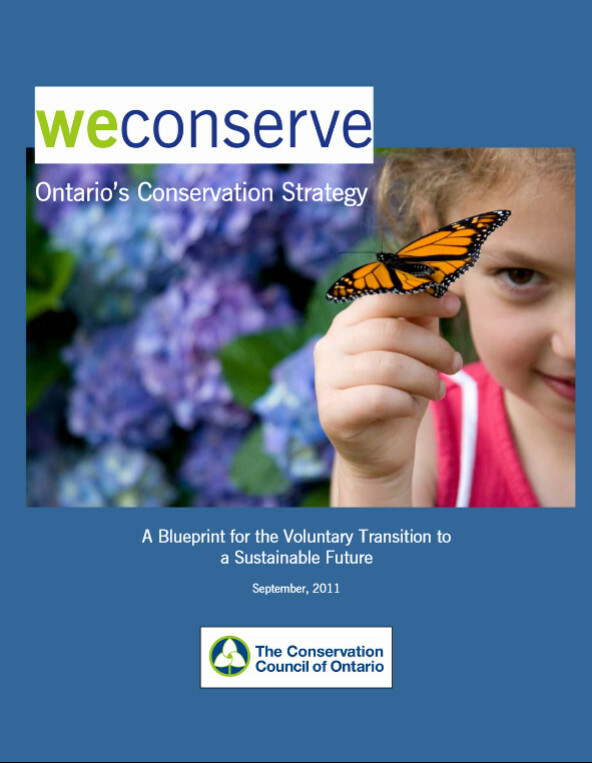 For example, here’s a strategy that was produced in 2011 by the Conservation Council of Ontario, a provincial association of 50 groups, businesses, and municipalities. It sets out a vision for 2020 and lays out an approach for collaboration and leadership for a voluntary transition to a sustainable future. As you read it, imagine where we could be now if it had actually been supported and implemented. We’d have had groups, labour, and businesses showing leadership in energy, food, transportation, local economies, and community design. We’d have been leading the way to a sustainable future. The strategy was never developed beyond the initial paper due to a lack of funding and overall commitment, however it remains an example of the type of leadership and collaboration that is needed to turn the corner on climate change and other major challenges. If we want true leadership on climate change, we have to step up to the plate ourselves.